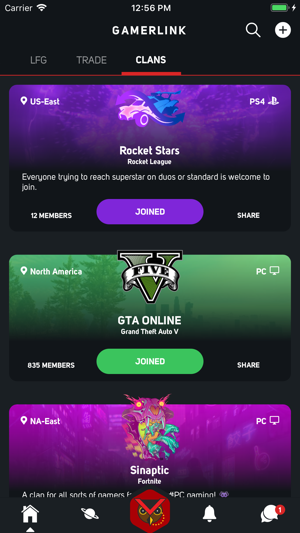 GamerLink: LFG, Clans and Chat for Gamers! 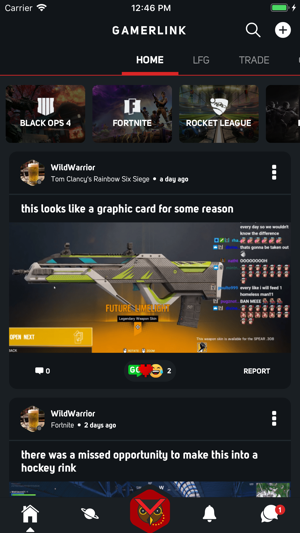 Find Teammates on PC, Xbox, Playstation and more! Never game alone again with GamerLink, discover gamers who play the way you do! 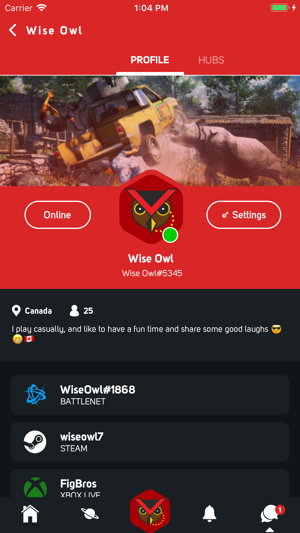 Connect with like-minded gamers through our Clan and Beacon systems and match on the areas that matter most: Play-style, Communication and Skill. GamerLink is truly Universal. We support over 200 titles across every major platform. 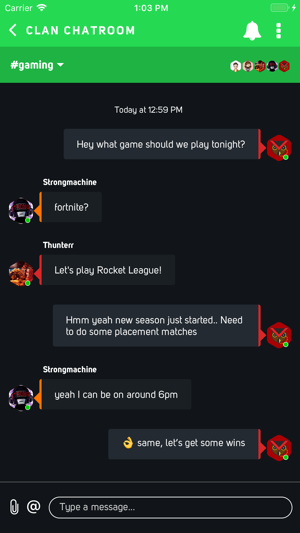 Our Clan and group chat features give you the tools to plan out your next gaming session and discover new, awesome communities to join. Finding a gaming clan has never been easier and our Beacon system allows you to narrow your focus and find exactly the right teammates to compliment your play-style. The app is perfect it is put together so well and the premise of the app is even better. There are no limits to how this can help you as a player. The only reason I don’t give it five stars is because of other users not because of the app itself. Most of the time people are generally exactly what they say and they’re committed. There is the times that the group member will be a little annoying, but that’s fine. The problem I run into a lot is people backing out without warning and in the middle of doing something. I have more people than ever that join the beacon and then I go through the trouble to get them into my game and party and then they leave as soon as something starts to actually happen. It is very frustrating coming across this and I want to warn people thinking about downloading. It is an amazing app that can help in so many ways, however there is trolls like almost everything else so be prepared. Hey Nick! Thanks for the support and detailed review! We are constantly working on creating a positive community. Be sure to report and users not complying and we will continue to push out awesome features! 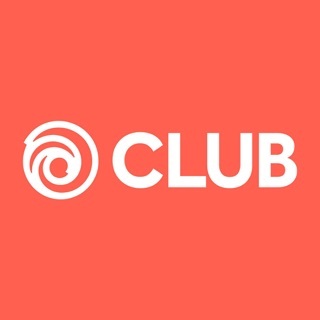 I used this app for about two months, works great and I connected with quite a few gamers. Then I put out a beacon saying I was looking for other teams to scrim against. I was banned in the same day. I wasn’t told why, no warnings were given, all of my beacons were taken down, and it was for 24 hours. I had posted another beacon with the same filters recently, so thinking I had been banned for spam, I consolidated to avoid getting flagged for that. I was banned again in the same fashion expect for 48 hours, again with no explanation. I could not log in to read the terms I was breaking, and the rules aren’t on the website. I had to email support to get answer. Their response was prompt (props to them for that) but vague, “you are not allowed to promote outside communities”. Not only are there multiple clan beacons that survive every single day, what gamerlink defines as an “outside community” is unclear, and frankly ridiculous. Are users limited to posting beacons that they are alone and need others to play with? Are the interactions on the app supposed to be strictly individual? Regardless of their own rules, I’m extremely dissatisfied with the instant ban and no explanation. If you take the time to ban me or have a bot do it, you should take the time as the app developer to explain why. Hey, we have a set of guidelines and terms and there are some users that are abusing the system. It is our duty to ensure the community can stay great. You also should have received warnings prior to being banned and we're actively looking into why this did not occur. We're looking to add more clarity around our rules. We appreciate your honest feedback and patience as we continue to build upon the beta app everyday. Please be sure to update your review as we update the app. It's users like you who help us to build a stronger platform for all gamers! I know right. Usually it's more like good idea terrible execution. Not with this app! This is so amazing. Ive only had it for a day, and I've already found so many people to play with. Grinding through missions is easy with all these great players. The hashtags really help to find the right players. 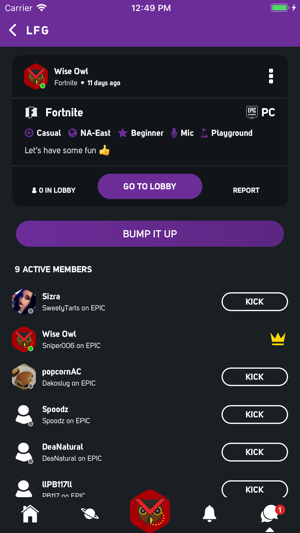 One suggestion is that in settings you should have the option to put your discord so if you put it in, anytime that you talk to someone they can see your discord (or just friends or beacon group members. That would be an option in settings) I have no complaints about this app, and is a really good idea. I would try to get more YouTubers to advertise you. Amazing idea, amazing execution. Keep going developers, because you are only getting more popular. Amazing review and feedback thanks so much for the support Brandon!